As part of JLT Specialty’s London-based Financial Lines Group, Sarah and her team, based in London and throughout Europe, work directly with our clients and with network colleagues to make sense of cyber, technology, and media E&O (PI) risks, and create leading edge bespoke insurance solutions in the London and European market. Prior to joining JLT in 2015, Sarah spent 12 years with Aon in a variety of roles. Most recently, Sarah was Aon’s Head of Cyber & Commercial E&O for the Europe, Middle East, and Africa (EMEA) Region, working with colleagues across business groups and clients in the region to identify, analyse, and drive awareness of cyber risks, exposures, and both insurance and non-insurance solutions. Previously, Sarah spent seven years with Aon’s US Cyber and Errors & Omissions practice group thinking nonstop about cyber insurance way before it was cool. Her first four years at Aon were spent in the Account Management group working with large clients and developing a keen eye for excellent client service. 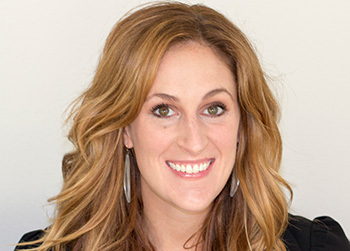 Sarah received a Bachelor of Arts with Distinction from Duke University in Durham, North Carolina in 2002, and earned an Associate in Risk Management (ARM) Certification in 2005. She is a member of the Professional Liability Underwriting Society, formerly part of the Northern California Chapter Steering Committee and then chair of the Europe Chapter Steering Committee. She currently serves on the Cyber Insurance Curriculum Advisory Board.